Editor's note: Today we hear from Martin Port, BigChange Apps CEO. 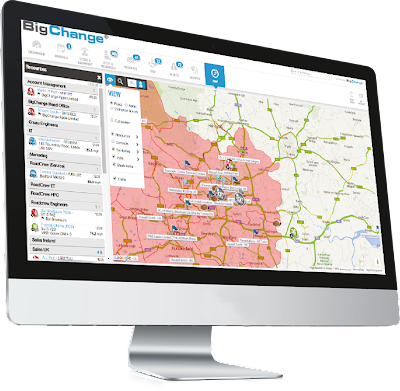 Read how BigChange Apps helps its customers improve mobile workforce productivity, efficiency and their bottom line with Google Maps APIs. Many companies that require fleet and workforce tracking waste too much time, money and fuel managing their mobile workforces because they’re using old technology, manual reporting or paper-based systems. 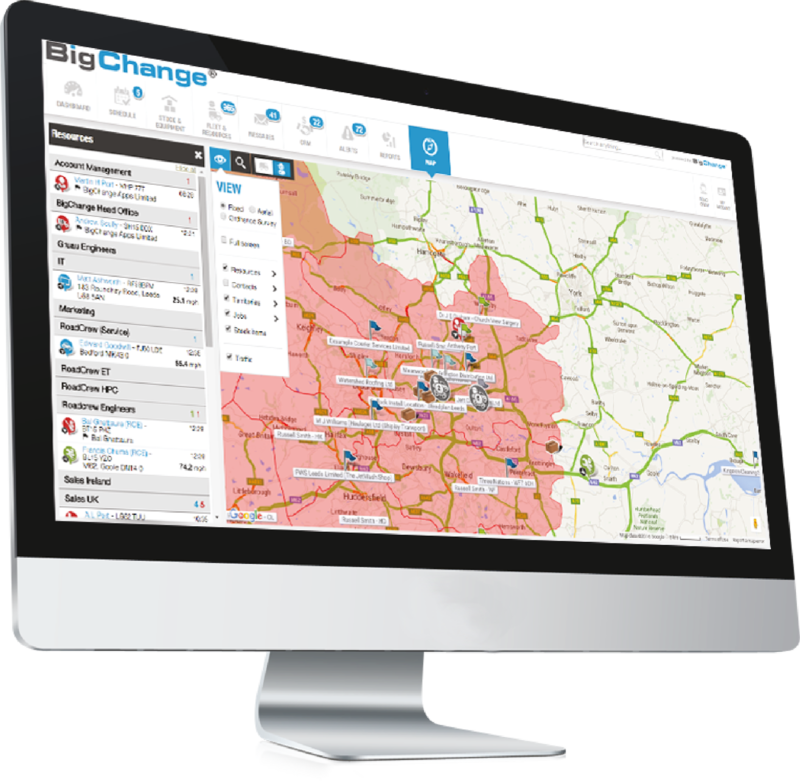 At BigChange Apps, we set out to change that by building a mobile workforce management platform called JobWatch that combines a back-office application, vehicle-tracking and mobile apps for drivers. The platform connects a company’s back-office processes to their mobile workforce while also allowing their end-customer to place new bookings, check the ETA and status of existing jobs and even view historical information and documents such as invoices. Companies can manage jobs and create reports in real time directly from JobWatch, improving workforce productivity and eliminating manual processes like providing paper project quotes. 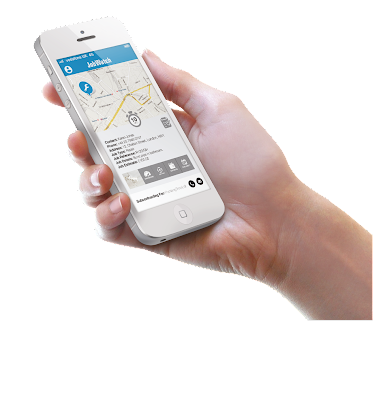 Maps are at the heart of what we do — they power the mobile apps for drivers and our back-office web app for dispatchers and other staff. When we started, we used a different mapping solution. But it wasn’t keeping up by adding new features. Pricing was too complex, and we couldn’t get the help we needed. So we switched to Google, which gave us great tools in Google Maps APIs and advice on how to use them to improve JobWatch. And since Google Maps sets the standard for the way people interface with maps, we spent less time training our customers how to use JobWatch. On the drivers’ side, the iOS mobile app for drivers is powered by the Google Maps SDK for iOS, and the Android app uses the Google Maps Android API. We’re big fans of the Google Maps Distance Matrix API, the Google Maps Directions API and the predictive travel time feature because they help our dispatchers more efficiently schedule drivers. When customers call asking when a driver will be arriving, dispatchers can give them an exact time. What’s also great about Google Maps APIs is they integrate so well with other systems, like Customer Relationship Management (CRM) software. We’ve built a widget that imports contacts, then passes them through the Google Maps Geocoding API, which translates addresses into geographic coordinates so they can be more accurately mapped. JobWatch means big savings for our customers — in two recent customer case studies, our customers have reported a 10 percent reduction in fuel use, 10 hours less of travel time per mobile worker per month, an extra four jobs finished per driver per month and eight hours of office administration time saved per mobile employee. Happy customers translate into growth for us — our revenue grew from £337,000 in 2013 to £2 million in 2015. By 2020, we forecast having £4 million in recurring annual revenue. For that, we have Google Maps to thank, by providing the tools to help us build a single platform uniting drivers and the back office.